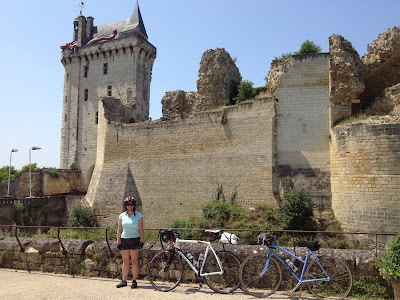 This time last week, having eaten our fill at the Quick Palace hotel buffet breakfast in Tours we set off for two days of cycling along the river Loire with a bit of Chateaux spotting. Since getting back I think I have spent most of the week in the kitchen as we found ourselves somewhat over run with cherries, raspberries and courgettes. I have baked quiches and cakes and started stocking the cupboards with chutneys and relishes, however it meant neglecting the blog. 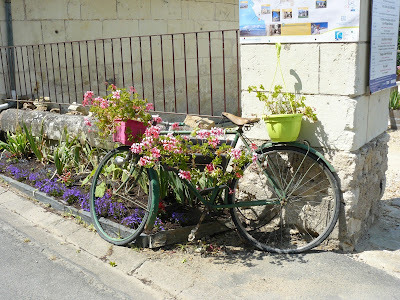 After the madness and excitement that was The Tour de France in Tours it was with a little reluctance that we headed out to the west of the city on Friday morning. 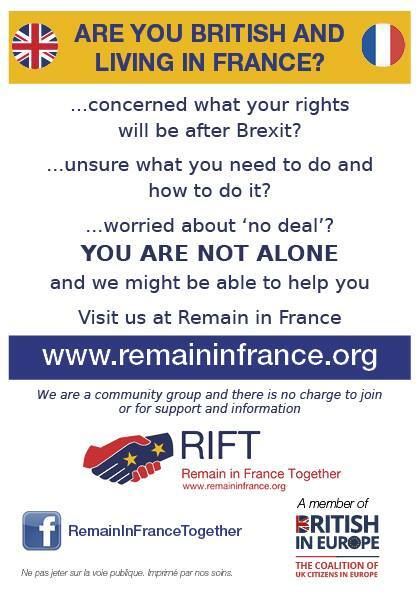 The further out of town we got and the more peaceful it became, the more we knew we had made the right decision not to stay with the buzz in Tours awaiting the lunchtime departure of the cyclists. 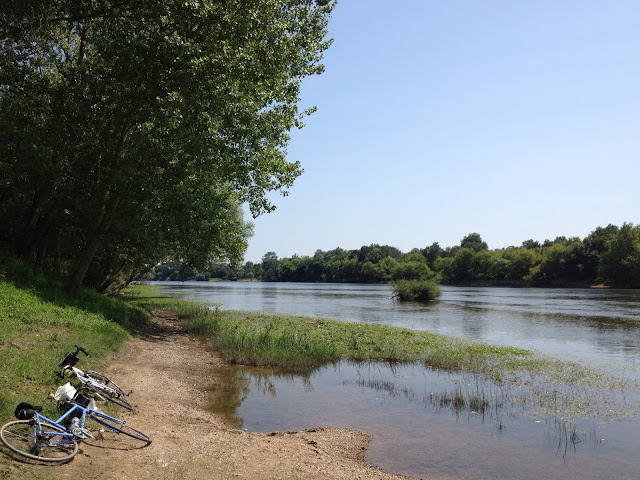 The Tour might have been over for us but we still had a good few kilometres to tackle on our own little tour of the Loire. 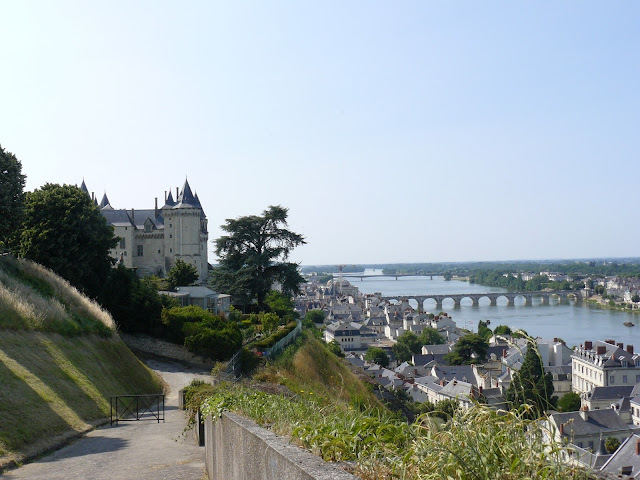 The plan was to follow the river Loire from Tours to Rigny-Ussé, cross the river Indre, then loop down to Chinon before following the river Vienne back to the Loire and on to Saumur. 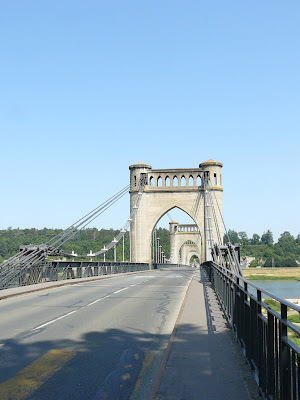 This route is well documented in Cycling Southern France - Loire to Mediterranean by Richard Peace, however we didn’t have the space to carry the book with us, but following big rivers, on the flat, how difficult could it be? Well, despite the Loire being a cyclist heaven with over 800km of marked cycle paths and many cycle friendly hotels and campsites it wasn’t actually as easy as I thought. It wasn’t long before the path veered away from the river and then horror of horrors, became a cobbled track. I am a 41 year old body cycling a 30 year old road bike and neither of us do cobbles. 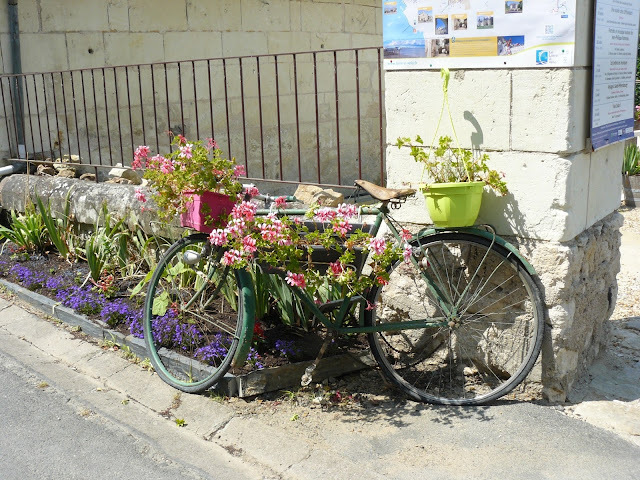 The benefits of heading back to the road were that tarmac is a much faster surface for our thin tyre bikes and we followed the route Le Tour had taken the previous day, so the villages and roads were decorated on a cycle theme. 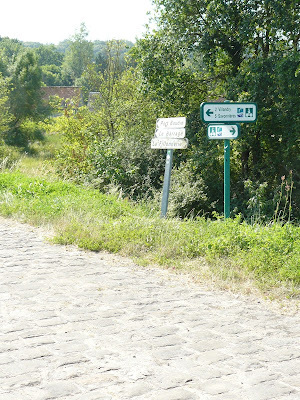 Cobbles are a no no! We lunched on pasta and tinned fish, perfect energy food, having seen Villandry (from afar), the lovely bridge at Langeais and got a great view of the Rigny-Ussé chateau that morning. The afternoon took in Chinon, where we stopped for a beer, some lovely shady cycling by the river Vienne then the beautiful village of Montsoreau. We were only about 16km from our overnight stop in Saumur but tiredness and the heat were starting to show. 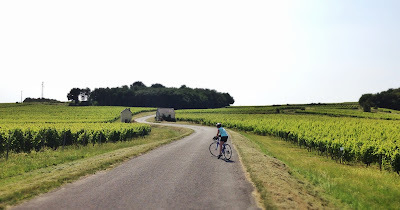 When given a choice of a 14km route via the river or a 12km route via the vineyards, we decided to head uphill and save a couple of kilometres. Well, the views were superb, but unfortunately the signage wasn’t. We must have covered at least an extra 10km with lots of hills and lots of heat that necessitated a walnut break under the shade of a tree. The final zoom down from the Chateau in Saumur to our hotel was a fantastic feeling and we felt rather pleased with ourselves having covered 95km. The Cithotel was very welcoming with a safe storage area for the bikes and a clean and comfortable room. 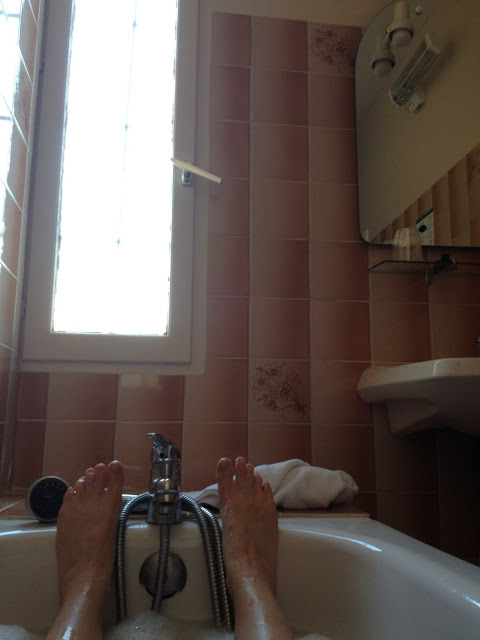 Never has a short bath in a two-tone peach hotel bathroom seemed so welcoming as that night! 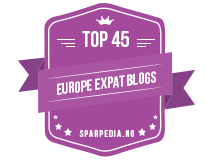 Do join me again tomorrow with part two of our adventure.